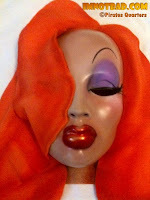 If you are looking for custom work, the internet is full of people creating, drawing, painting, and sculpting. When someone has real talent, you can easily spot it. Denise is a prime example of a treasure that you can find out there. 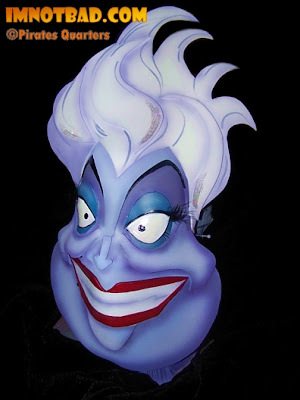 She creates custom decorative masks that are unique and stunningly beautiful. 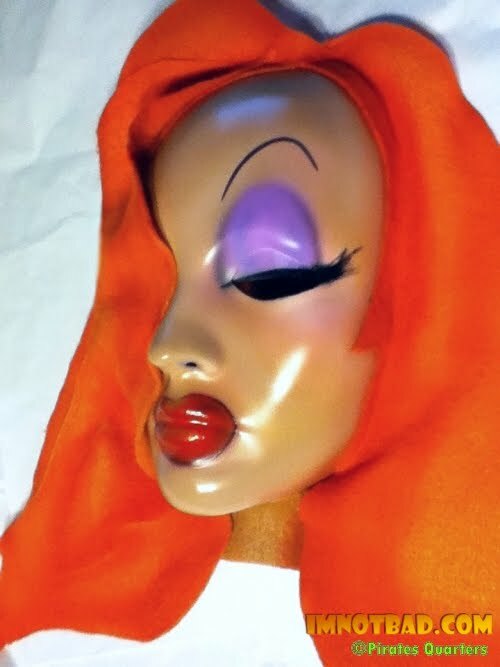 Not only does she create one-of-a-kind creations, but she expertly paints various Disney characters like Maleficent, The Evil Queen... and now Jessica Rabbit! I've been an artist my entire life, as long as I can remember...I began in the arts from watching my Dad , who was also an amazing artist/musician. He would draw and paint and I just knew that it was something I had to do as well. I began drawing, then drawing portraits, creating costumes, practicing with 3d mediums such as makeup & clays, which is now one of the most rewarding facets of my career, special fx makeup...you know, monsters, gore, fantasy, zombies, you name it, I create it...on actual people. When did you begin painting masks? I paint masks in between times I'm not on set or in the studio, because it's something I love and a spin off of what I do. I take inspiration from everything around me, people, memories, nature, music...etc. You can find inspiration everywhere, you just have to look....and Disney has always been a part of my heart so I tend to take my favorite characters and put a twist on them..make them my own, in a sense. So far, I've gotten a wonderful response to my masks, and special requests for characters is exciting and pulls me into the fantasy world for a bit...Who wouldn't love that? 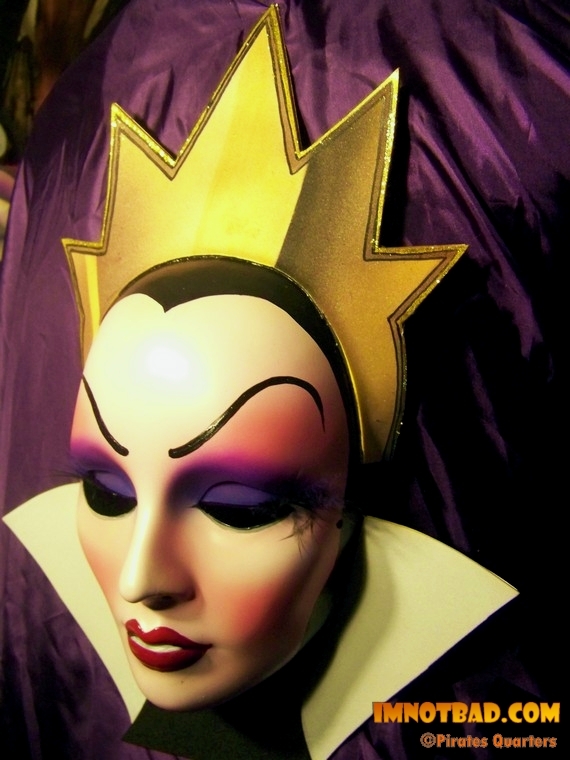 What are some favorite masks that you have created? Wow, this is a difficult question for me to answer, as each one of my masks are unique in their own right and equally unique in charm. I truly do enjoy creating each and every one of them, each time...whether it be a popular mask which I've re-created over and over, such a "Maleficent", or a one of a kind Venetian style mask I've designed from my imagination, I love them all. Even though I may repeat a popular mask for several requests, they all have their own tiny variations of difference that make them special, although to the naked eye, they may appear identical...and they make people happy. They are all part of me and hold their place solidly in my heart and soul. I love what I do and I think my masks reflect my respect for the arts. It warms me to know that my creations are shared with others who love them as much, or at times even more than I do. 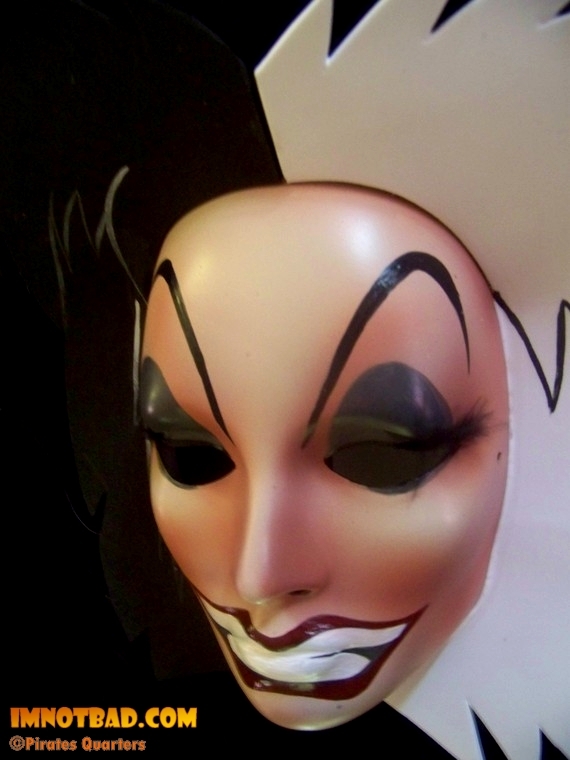 Are there any characters you have not created that you want to do in mask form? Yes, absolutely. I would have to say that I'd love to create character masks from sci fi movies, such as Star Wars,... KISS the band, 3 Musketeers, Universal Monsters (Dracula, Wolfman etc), classic Hollywood movie icons, such as Lucille Ball, Bette Davis & Greta Garbo would be fun too. There are many more Disney characters I will be focusing my attention on soon as well, and I welcome any requests for characters that may be dancing around in someones mind too, ..we can discover them together. Denise's work is astonishing and beautiful to say the least. 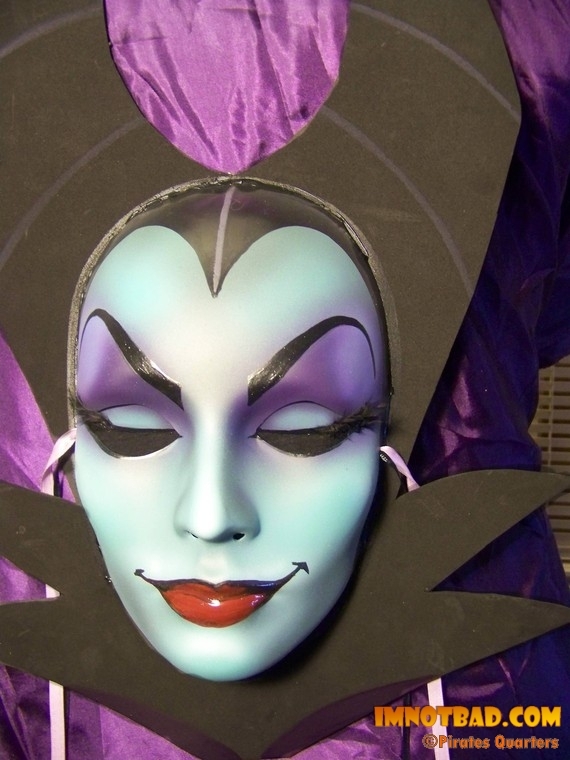 She created Maleficent and Jessica Rabbit masks for me and she took the time to get every detail right. She was wonderful to work with and is very talented. Her custom masks make the perfect gift, especially for someone who already owns everything of their favorite character. Aside from the characters you see here, Denise has a large selection of other mask styles - and can also create a special custom design for you. So head on over to her Etsy page and place an order and tell her you heard about it here!